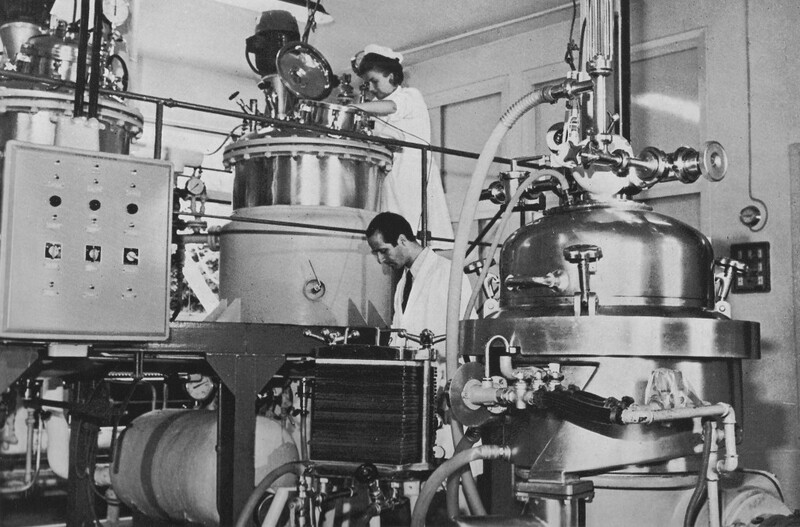 With the prestige achieved by the implementation of the polio vaccine, the Sclavo Institute grew rapidly until it reached a thousand employees, extending in the United States and beginning a phase of changes in ownership, which saw the company gradually shifting under the control of ENI. In the 1970s, the Institute was structured in three main divisions: the “biologicals”, for the production of bacterial vaccines, anatoxins, anatubercolines and for the purification of serums and those for the production of blood products. In addition, in the Virology Center, viral vaccines such as those against polio, smallpox, rabies, flu, parotitis were produced and studies on epidemic hepatitis and the immune prophylaxis of measles and rubella were conducted. The second division was that of the “diagnostics”, with its two sections, bacteriology and biochemistry. In the third division – that of the “pharmaceuticals” – the most various specialties were produced, such as those based on antibiotics and sulfonamides, and, more often, constituted by the association of biological origin with chemically pure substances. In 1970 the new Research Center was inaugurated, a cutting-edge facility where qualified technicians carried out activities of experimentation and scientific investigation. In those years, the production and marketing of Sclavo products increased worldwide and fruitful and lasting collaborations began, like that with the World Health Organization and with international humanitarian Associations, like UNICEF and PAHO (Pan American Health Organization). In 1972, a new complex – built in Rosia, an isolated place, surrounded by greenery – was dedicated to veterinary services. This second site, a few kilometers from Siena, will gradually see the growth of the production plants and would become, in a few decades, a center of excellence. 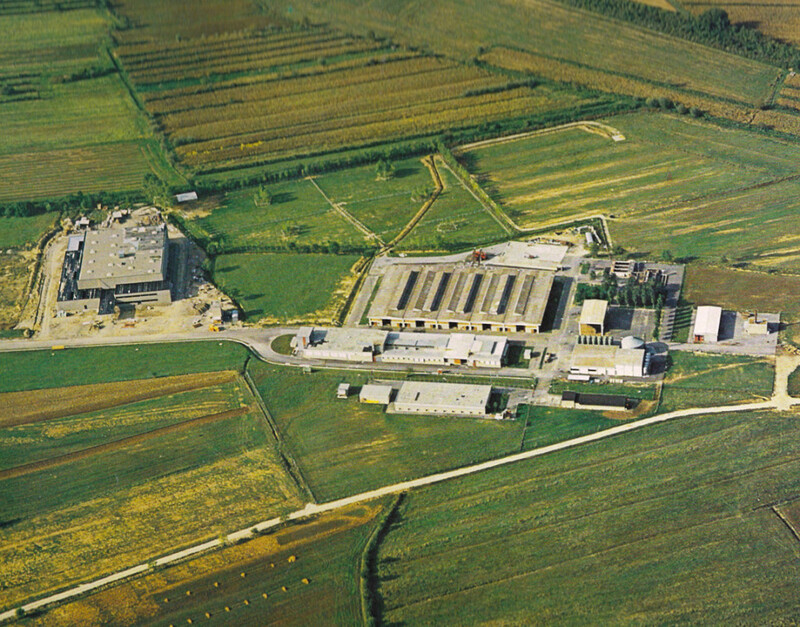 Unique example of large industry in the small Siena, the Sclavo Institute could count on the intervention of the institutions, which contributed to the revival of the factory. The activity of the site, meanwhile, continued to stand out for the excellent scientific results. To 1984 dates back the sequencing and large-scale production of mutant diphtheria toxin CRM197 and to 1989 the start of the development of the acellular vaccine for pertussis (Galen Award in 1993).